Quick and easy way to wrap your gifts with little creative touch ! 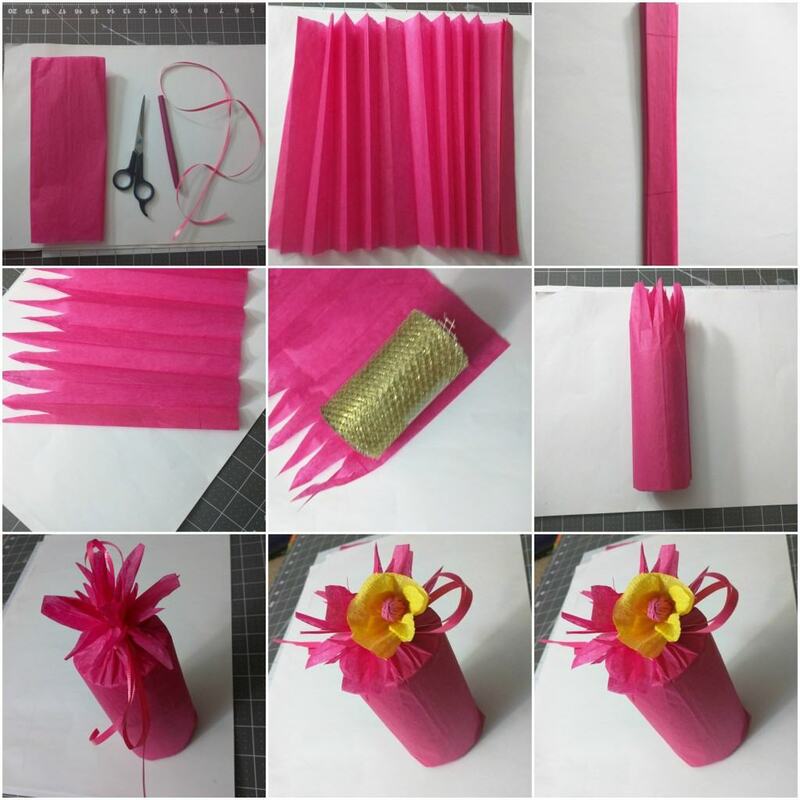 Note : If your gift-able item is 10 cm then you need to take tissue paper strip of length 17 cm. 5 cms – upper spike design cut and 2 cm for below, to create the base. Hope this quick how-to give you new inspiration to gift wrapping. If you have any question or would like to share your creative ideas and we are waiting for your comment or post !.